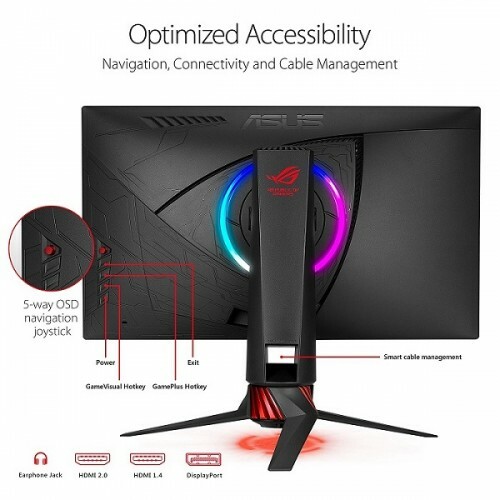 Asus Rog Strix XG258Q full HD (1920x1080) 25-inch FreeSync gaming monitor has extraordinary smooth 400 cd/㎡ of brightness & ultra-fast 1ms (GTG) response time to eliminate motion blur and tearing for super-smooth gameplay. Its native refresh rate of 240Hz and Aura RGB lighting on the back and a customizable light signature projection provides perfect condition of gaming. Its ergonomically-designed stands with full tilt, swivel, pivot, and height adjustment VESA wall-mount capability ensures multiple use and space saving facility. 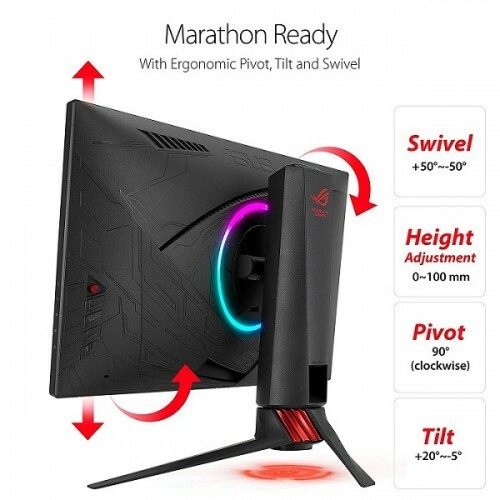 This adaptive-sync, 170°(H)/160°(V) of viewing angle monitor has the connectivity of HDMI(v2.0), DisplayPort and HDMI(v1.4). 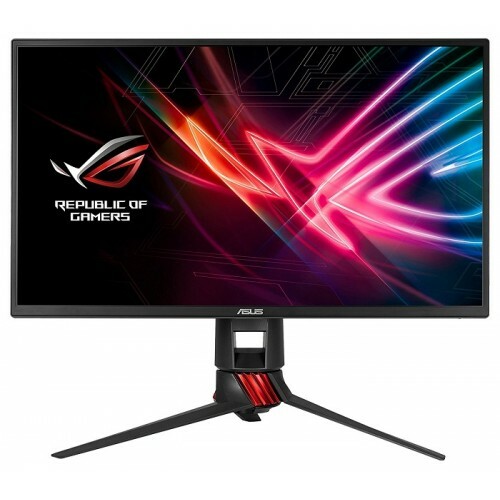 Buy Asus ROG gaming monitor at best price in Chattagram, Rangpur, Dhaka, Rajshah & Sylhet. 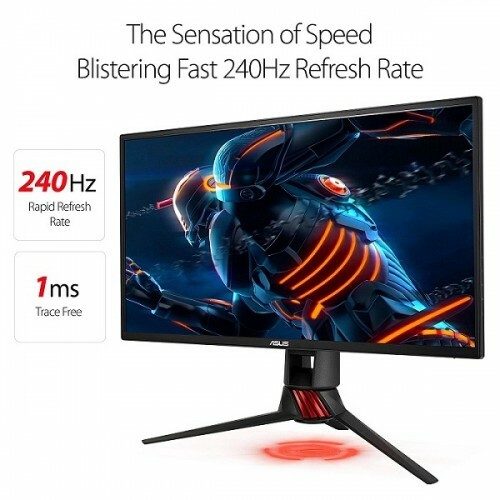 You can order this brand-new massive gaming monitor through our Star Tech online shop and our online delivery channel will deliver this at your location inside Bangladesh.